1. Kerr, J. F. R., Wyllie, A. H., and Currie, A. R. (1972) Apoptosis, a basic biological phenomenon with wide-ranging implications in tissue kinetics. Br. J. Cancer 26, 239-257. 2. Wyllie, A. H., Morris, R. G., Smith, A. L., and Dunlop, D. (1984) Chromatin cleavage in apoptosis: association with condensed chromatin morphology and dependence on macromolecular synthesis. J. Pathol. 142, 67-77. 3. Fadok, V. A., Voelker, D. R., Campbell, P. A., Cohen, J. J., Bratton, D. L., and Henson, P. M. (1992) Exposure of phosphatidylserine on the surface of apoptotic lymphocytes triggers specific recognition and removal by macrophages. J. Immunol. 148, 2207-2216. 4. Oberhammer, F. A., Hochegger, K., Froschl, G., Tiefenbacher, R., and Pavelka, M. (1994) Chromatin condensation during apoptosis is accompanied by degradation of lamin A + B, without enhanced activation of cdc2 kinase. J. Cell Biol. 126, 827-837. 5. Mills, J. C., Stone, N. L., and Pittman, R. N. (1999) Extranuclear apoptosis. The role of the cytoplasm in the execution phase. J. Cell Biol. 146, 703-708. 6. Cryns, V. and Yuan, J. (1998) Proteases to die for. Genes Dev. 12, 1551-1570. 7. Earnshaw, W. C., Martins, L. M., and Kaufmann, S. H. (1999) Mammalian caspases: structure, activation, substrates, and functions during apoptosis. Annu. Rev. Biochem. 68, 383-424. 8. Nicholson, D. W. (1999) Caspase structure, proteolytic substrates, and function during apoptotic cell death. Cell Death Differ. 6, 1028-1042. 9. Hengartner, M. O. (2000) The biochemistry of apoptosis. Science 407, 770-776. 10. Adrain, C. and Martin, S. J. (2001) The mitochondrial apoptosome: a killer unleashed by the cytochrome seas. Trends Biochem. Sci. 26, 390-397. 11. White, K., Grether, M. E., Abrams, J. M., Young, L., Farrell, K., and Steller., H. (1994) Genetic control of programmed cell death in Drosophila. Science 264, 677-683. 12. Grether, M. E., Abrams, J. M., Agapite, J., White, K., and Steller, H. (1995) The head involution defective gene of Drosophila melanogaster functions in programmed cell death. Genes Dev. 9, 1694-1708. 13. Chen, P., Nordstrom, W., Gish, B., and Abrams, J. M. (1996) grim, a novel cell death gene in Drosophila. Genes Dev. 10, 1773-1782. 14. Wolff, T. and Ready, D. F. (1991) Cell death in normal and rough eye mutants of Drosophila. Development. 113, 825-839. 15. Abrams, J. M., White, K., Fessler, L. I., and Steller, H. (1993) Programmed cell death during Drosophila embryogenesis. Development 117, 29-43. 16. McCall, K. and Steller, H. (1998) Requirement for DCP-1 caspase during Drosophila oogenesis. Science 279, 230-234. 17. Jiang, C., Lamblin, A. F., Steller, H., and Thummel, C. S. (2000) A steroid-triggered transcriptional hierarchy controls salivary gland cell death during Droso-phila metamorphosis. Mol. Cell. 5, 445-455. 18. Frank, L. H. and Rushlow, C. (1996) A group of genes required for maintenance of the amnioserosa tissue in Drosophila. Development 122, 1343-1352. 19. Nordstrom, W., Chen, P., Steller, H., and Abrams, J. M. (1996) Activation of the reaper gene during ectopic cell killing in Drosophila. Dev. Biol. 180, 213-226. 20. Robinow, S., Draizen, T. A., and Truman, J. W. (1997) Genes that induce apoptosis: transcriptional regulation in identified, doomed neurons of the Drosophila CNS. Dev. Biol. 190, 206-213. 21. Nassif, C., Daniel, A., Lengyel, J. A , and Hartenstein, V. (1998) The role of morphogenetic cell death during Drosophila embryonic head development. Dev. Biol. 197, 170-186. 22. Pazdera, T. M., Janardhan, P., and Minden, J. S. (1998) Patterned epidermal cell death in wild-type and segment polarity mutant Drosophila embryos. Development 125, 3427-3436. 23. Myat, M. M. and Andrew, D. J. (2000) Forkhead prevents apoptosis and promotes cell shape change during formation of the Drosophila salivary glands. Development 127, 4217-4226. 24. Smith, D. E. and Fisher, P. A. (1989) Interconversion of Drosophila nuclear lamin isoforms during oogenesis, early embryogenesis, and upon entry of cultured cells into mitosis. J. Cell Biol. 108, 255-265. 25. Riemer, D., Stuurman, N., Berrios, M., Hunter, C., Fisher, P. A., and Weber, K. (1995) Expression of Drosophila lamin C is developmentally regulated: analogies with vertebrate A-type lamins. J. Cell Sci. 108, 3189-3198. 26. Haining, W. N., Carboy-Newcomb, C., Wei, C. L., and Steller, H. (1999) The proapoptotic function of Drosophila Hid is conserved in mammalian cells. Proc. Natl. Acad. Sci. USA 96, 4936-4941. 27. Varkey, J., Chen, P., Jemmerson, R., and Abrams, J. M. (1999) Altered cytochrome c display precedes apoptotic cell death in Drosophila. J. Cell Biol. 144, 701-710. 28. Lisi, S., Mazzon, I., and White, K. (2000) Diverse domains of THREAD/DIAP1 are required to inhibit apoptosis induced by REAPER and HID in Drosophila. Genetics 154, 669-678. 29. Srinivasan, A., Roth, K. A., Sayers, R. O., et al. (1998) In situ immunodetection of activated caspase-3 in apoptotic neurons in the developing nervous system. Cell Death Differ. 5, 1004-1016. 30. Baker, N. E. and Yu, S. Y. 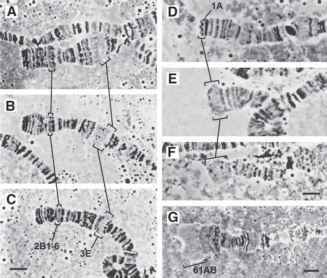 (2001) The EGF receptor defines domains of cell cycle progression and survival to regulate cell number in the developing Drosophila eye. Cell 104, 699-708. 31. Nelson, R. E., Fessler, L. I., Takagi, Y., et al. (1994) Peroxidasin: a novel enzymematrix protein of Drosophila development. EMBO J. 13, 3438-3447. 32. Franc, N. C., Dimarcq, J. L., Lagueux, M., Hoffmann, J., and Ezekowitz, R. A. (1996) Croquemort, a novel Drosophila hemocyte/macrophage receptor that recognizes apoptotic cells. Immunity 4, 431-443. 33. Franc, N. C., Heitzler, P., Ezekowitz, R. A., and White, K. (1999) Requirement for croquemort in phagocytosis of apoptotic cells in Drosophila. Science 284, 1991-1994. 34. White, K., Lisi, S., Kurada, P., Franc, N., and Bangs, P. (2001) Methods for studying apoptosis and phagocytosis of apoptotic cells in Drosophila tissues and cell lines. Methods Cell Biol. 66, 321-338. 35. Cherbas, L. and Cherbas, P. (2000) Drosophila cell culture and transformation, in Drosophila Protocols (Sullivan, W., Ashburner, M., and Hawley, R. S., eds. ), Cold Spring Harbor Laboratory Press, Plainview, NY, pp. 373-387. 36. McDonald, K. L., Sharp, D. J., and Rickoll, W. (2000) Preparation of thin sections of Drosophila for examination by transmission electron microscopy, in Drosophila Protocols (Sullivan, W., Ashburner, M., and Hawley, R. S., eds. ), Cold Spring Harbor Laboratory Press, Plainview, NY, pp. 245-271. 37. Gavrieli, Y., Sherman, Y., and Ben-Sasson, S. A. (1992) Identification of programmed cell death in situ via specific labeling of nuclear DNA fragmentation. J. Cell Biol. 119, 493-501. 38. Martin, S. J., Reutelingsperger, C. P., McGahon, A. J., et al. (1995) Early redistribution of plasma membrane phosphatidylserine is a general feature of apoptosis regardless of the initiating stimulus: inhibition by overexpression of Bcl-2 and Abl. J. Exp. Med. 182, 1545-1556. 39. Williamson, P., van den Eijnde, S., and Schlegel, R. A. (2001) Phosphatidylserine exposure and phagocytosis of apoptotic cells. Methods Cell Biol. 66, 339-364. 40. Verheyen, E. and Cooley, L. (1994) Looking at oogenesis, in Methods in Cell Biology (Goldstein, B, L. S. and Fyrberg, E. A., eds. ), Academic, New York, pp. 545-561. 41. Ashburner, M. (1989) Drosophila: A Laboratory Handbook. Cold Spring Harbor Laboratory Press, Cold Spring Harbor, NY. 42. White, K., Tahaoglu, E., and Steller., H. (1996) Cell killing by the Drosophila gene reaper. Science 271, 805-807. 43. Foley, K. and Cooley, L. (1998) Apoptosis in late stage Drosophila nurse cells does not require genes within the H99 deficiency. Development 125, 1075-1082. 44. van den Eijnde, S. M., Boshart, L., Baehrecke, E. H., De Zeeuw, C. I., Reutelingsperger, C. P. M., and Vermeij-Keers, C. (1998) Cell surface exposure of phosphatidylserine during apoptosis is phylogenetically conserved. Apoptosis 3, 9-16.